Scott Barrie dress, ca. 1973, in MFIT’s exhibition Black Fashion Designers. Image: Museum at FIT. The Museum at FIT’s current exhibition, Black Fashion Designers, showcases the often-overlooked work of more than 60 designers of African descent. (The show runs to May 16th, 2017). Monday’s symposium is sold out, but you can watch a livestream here. 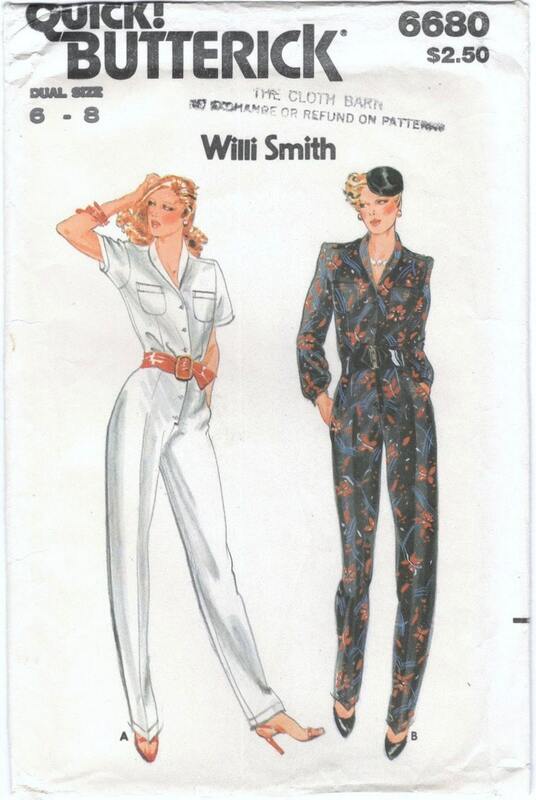 Butterick 6680 by Willi Smith (ca. 1979) Image: PatternVault on Etsy. Many of the designers featured in the FIT exhibit also licensed sewing patterns. Here are some highlights of patterns by designers of African descent, from the 1970s to now. Butterick 3254 by Willi Smith (1973) Image: Vintage Pattern Wiki. 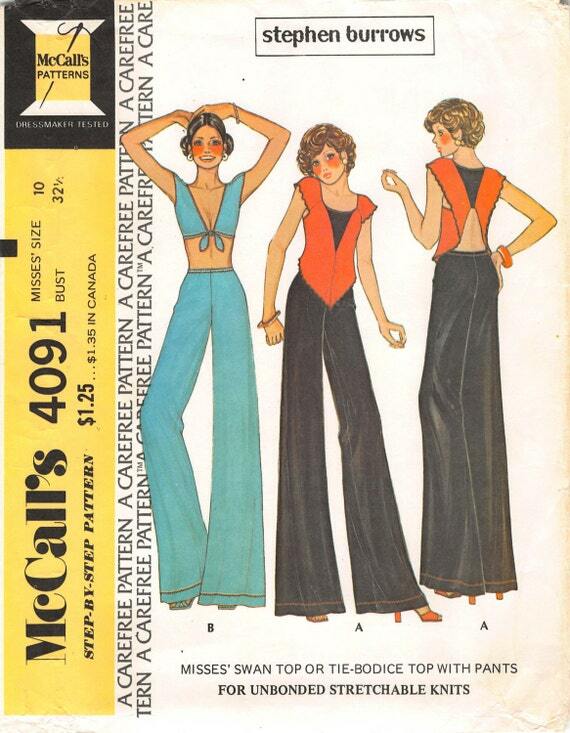 McCall’s 4091 by Stephen Burrows (1974) Image: Etsy. 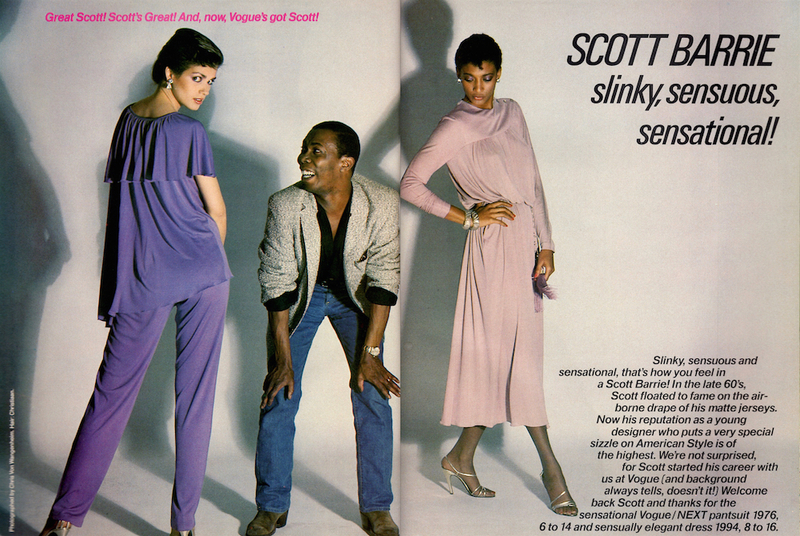 Scott Barrie in Vogue Patterns, September/October 1978. Photo: Chris von Wangenheim. 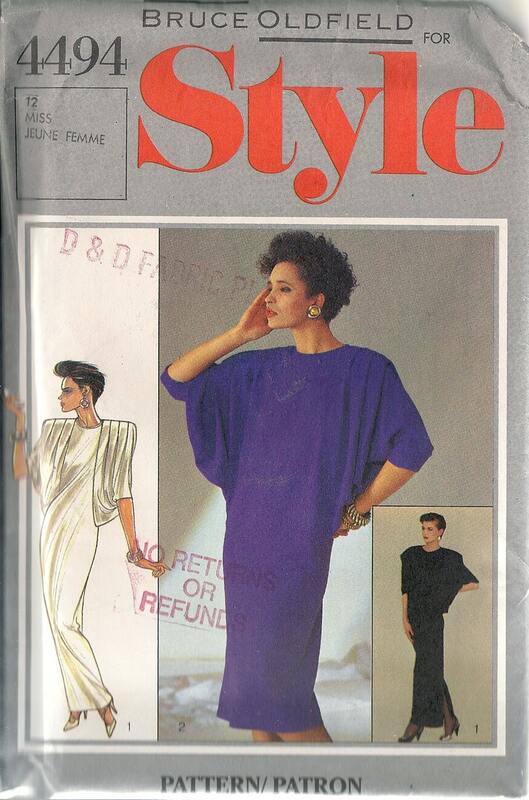 Style 4494 by Bruce Oldfield (1985) Image: Etsy. 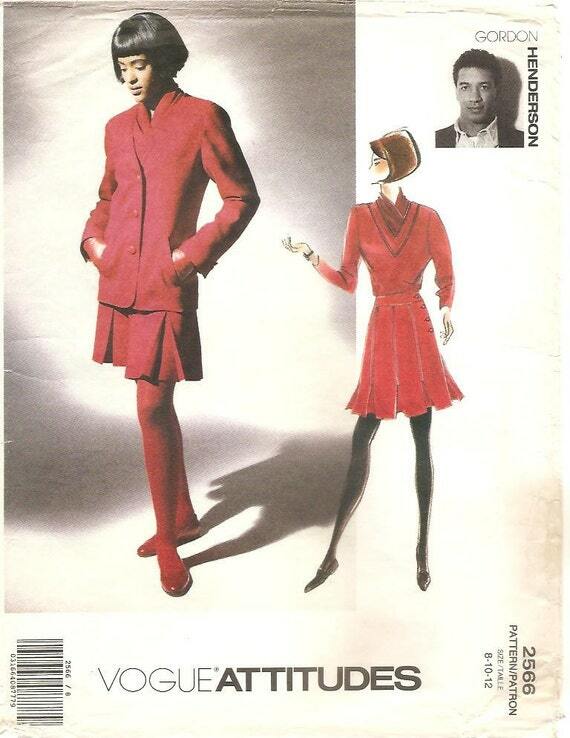 Vogue 2077 by Patrick Kelly (1988) Image: PatternVault on Etsy. Vogue 2566 by Gordon Henderson (1990) Image: Etsy. 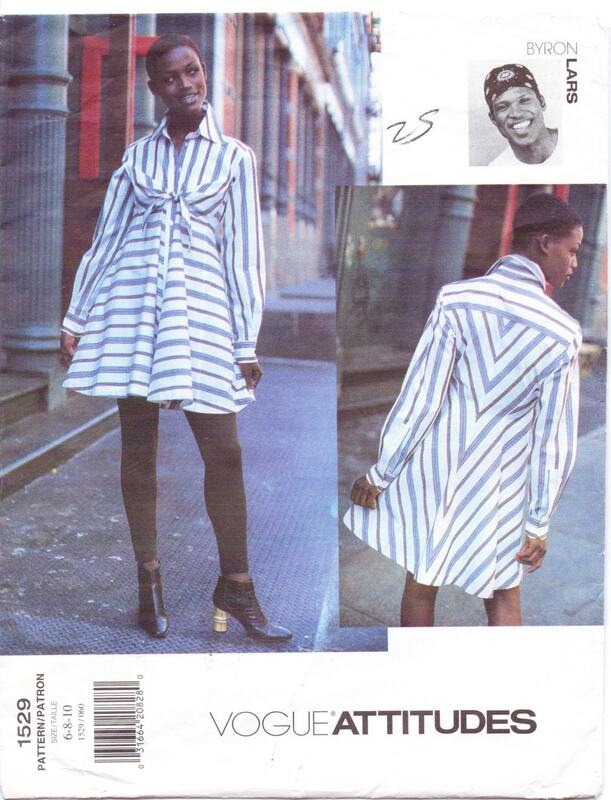 Vogue 1529 by Byron Lars (1995) Image: Etsy. Tracy Reese (b. 1964) has licensed her main label with Vogue Patterns since 2009; McCall’s added bridge line Plenty by Tracy Reese in 2012. 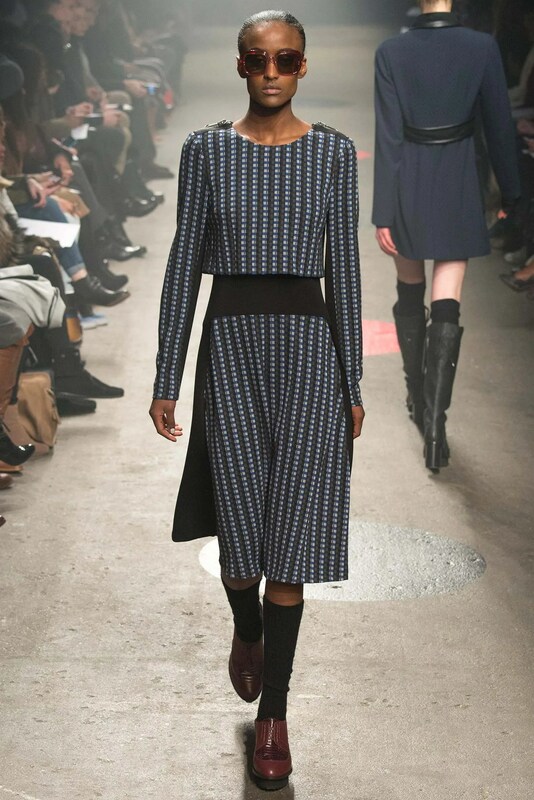 Vogue’s most recent offering, Vogue 1512, is a dress from Reese’s Fall 2015 collection. McCall’s 6506 from Plenty by Tracy Reese (2012) Image: PatternVault on Etsy. Vogue 1512 by Tracy Reese (2016) Image: eBay. Tracy Reese, Fall 2015 collection. Image: Vogue Runway. For more on the Black Fashion Designers exhibit, see the museum notes and Alexandra Jacobs’ article in The New York Times. I have so many of those patterns, it’s a little daunting. 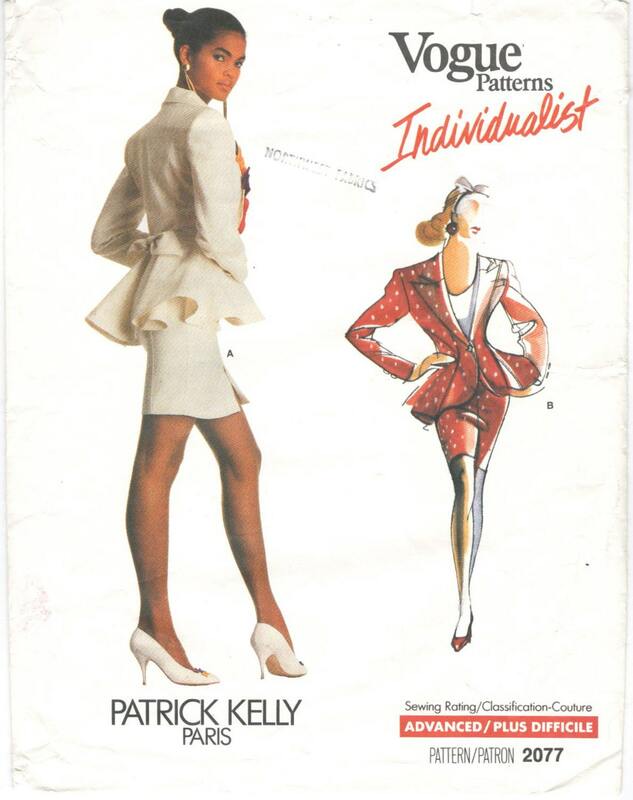 So glad you reposted the link for Patrick Kelly’s coat; it’s a stunning design. The Tracy Reese dress with bust darts — available in sizes that consider your bra cup size — what a great idea! Reminds me of the 50’s — but probably with a better fit.